Peaceful Heart’s Sunspot was born to our lovely Sunrise Surprise, “Sunny”, on September 25, 2011. 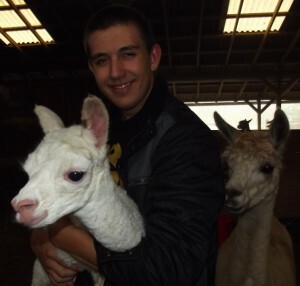 He is a lovely white boy, just like his full brother Solar Flare. Sunspot got his name from the adorable little brown spot on his left ear, the only spot of color on his bright white fleece. Sunny holds a special place in our hearts. 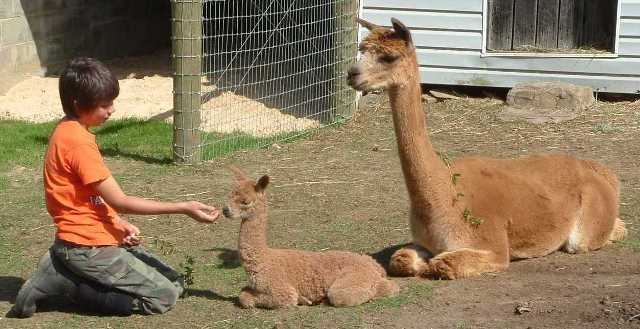 She was the first alpaca born on our farm, September 26, 2006. It has been so fun to see the lovely crias she has produced each year. 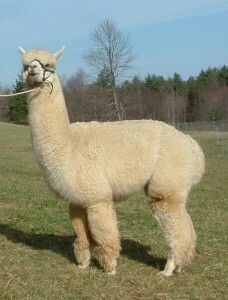 Sunspot is Sunny’s third cria. Her first was Solar Flare, who is now 2 years old, and has brought home several ribbons for his lovely fleece including a First Place at the MAPACA Spin-Off this year. Last year’s cria was Ten Ten Ten, “Thirty“. He is an adorable boy who sold before his first birthday. 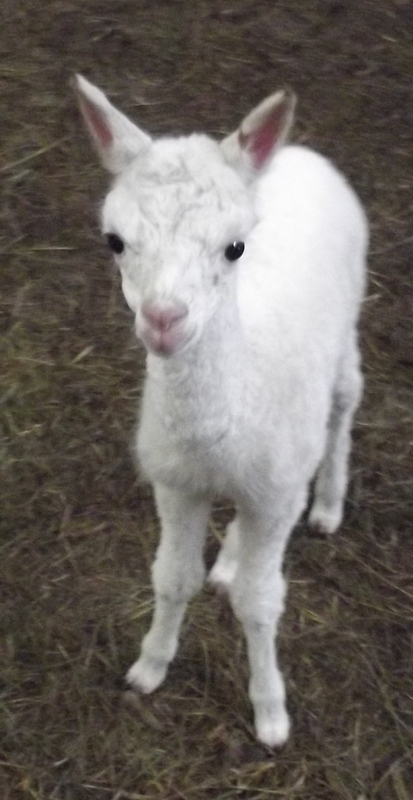 For this year’s cria, we rebred Sunny with our award-winning white herdsire Powergrid. We loved how Solar Flare turned out and are just as pleased this year with Sunspot. We will look forward to watching him grow into a great herdsire like his sire Powergrid and his uncle, Sunny’s full brother Peaceful Heart’s Lord Tennyson. 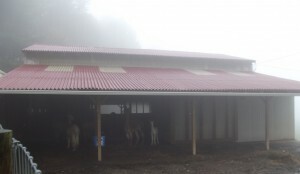 Sunny and Sunspot are in the barn due to our very foggy, wet weather we are having this week. They will be moving out to the barn pasture with Lightning Bolt and our other mothers-to-be as soon as the weather clears a bit. 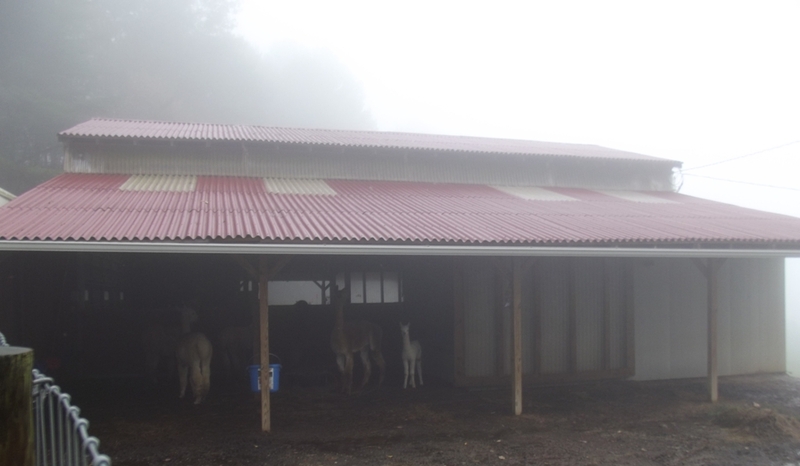 We hope you can come by soon to see Lighting and Spot as well as our spring crias in the front pasture.